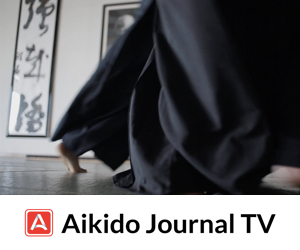 Later this week, we’ll release the first part of Aikido Journal’s interview with Patricia Hendricks Sensei (7th dan). Our weekend with her was filled with moments of insight, inspiration, and surprise. We’re excited to release the finished action and interview videos, but we also want to share the behind-the-scenes moments. We’ve received such enthusiastic feedback from the community, that we want to do everything we can to make you feel as if you were there with us during this special weekend. This photo journal is from our first night with Hendricks Sensei, the evening before her interview and video shoot. We hope you enjoy it. Nightfall at Ikazuchi Dojo. Hendricks Sensei was scheduled to arrive earlier in the day, but had flight delays. A great smile. 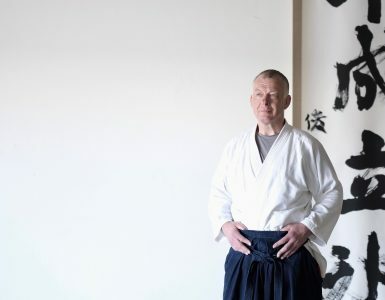 We’re delighted to welcome Hendricks Sensei to the Dojo. Earlier in the day, the dojo hosted an instructor seminar with Roy Dean and Josh Gold. Some of the attendees were still around when Hendricks Sensei arrived and got to spend some time with her. 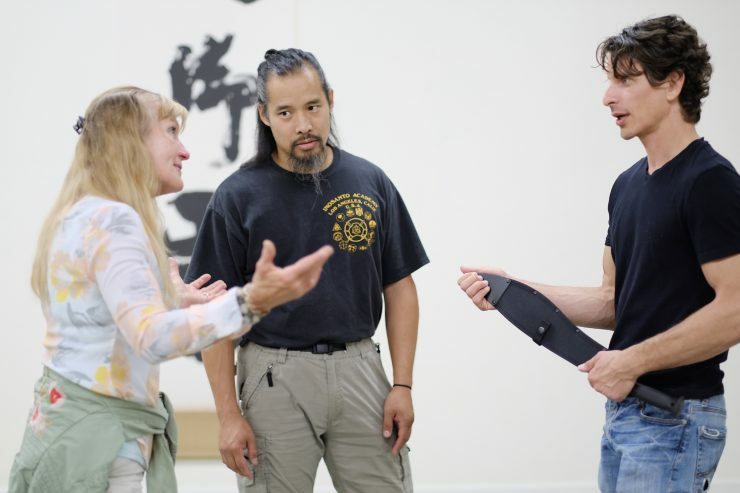 Here, she talks to Ray Feliciano Sensei, Chief Instructor of Pasadena Aikikai and Maru Dojo, and James Young, instructor at Ikazuchi Dojo. Hendricks Sensei meets Roy, who would be filming and editing footage from her video shoot. He was tired after leading a fast-paced instructor seminar all day, but was delighted to meet her and talk about their mutual acquaintances. Talking with Josh about details for the next day’s interview and demo, Hendricks Sensei asked if we had a machete at Ikazuchi Dojo. We don’t typically have those kinds of exotic weapons lying around, but Mark Cheng, who was at the dojo for the seminar earlier in the day happened to have one in his weapons bag. It’s not a trainer though. It’s a razor sharp Cold Steel kukri machete. Josh and Mark freaked out a bit when she asked to use the weapon in her demo. She was mildly amused by our concern. As one of the aikido world’s highest level weapons instructors, she’s capable of using live blades in demos safely, with people flying around. Do not try this at home. 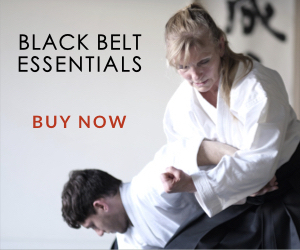 Hendricks Sensei was so excited to practice with the weapon, she got on the mat in her street clothes with her student Noah Levine to give the blade a test drive before the video shoot the next day. At the end of the evening, Hendricks Sensei calls Josh and Anne Lee up to the shomen to present a gift. The gift was wrapped in fabric once owned by O-Sensei. Hendricks Sensei presents Josh and Anne with a calligraphy scroll she brushed for them. She studied calligraphy under Seiseki Abe Sensei (O-Sensei’s calligraphy teacher) and brushed the piece in blue ink, the same color ink used in a piece given to her by Abe Sensei years before. The meaning of the calligraphy shall remain private for now, but has great significance and value for Josh and Anne. A moment of gratitude for Hendricks Sensei’s support, guidance, and generosity. Hendricks Sensei is ready to head to her hotel and rest before the next day’s events. She won’t leave without the machete though. She loved that weapon. Thank you so much for this series. In the mid 1980’s, I had the honour and pleasure of practising with Hendricks Sensei in Oakland. 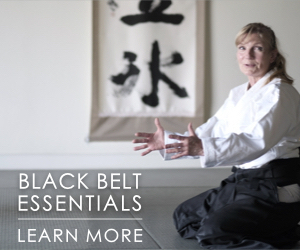 Even as I moved around the world and ultimately ended up in Canada, where I have resumed practise after several injuries and difficult events, her teachings have remained as a foundation. It is wonderful to hear how Hendricks Sensei is doing now. I never had the pleasure of meeting her in person though I have videos of her . A friend of mine named Michelle Newsom train with her some 20 years ago at a seminar I believe and as far as I know she’s the top female instructor in the United States. In all the years I have read about her or seen pictures of her on Videos .this is the first time I ever seen her in civilian clothes .she looks so different . Hendricks Sensei’s example of commitment to her teacher and loyalty to what he represents is a source of inspiration for many students. She has especially been a role model of leadership to serious female students. 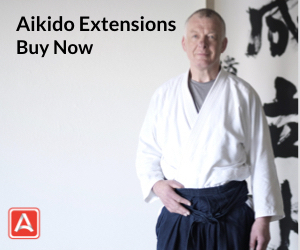 Thank you for sharing with the Aikido world. Thank you for the comment Sensei. We strongly agree with your perspective on Hendricks Sensei. I hope to be able to meet you in person sometime in the near future.